Millions of tourists visit the beautiful city of Barcelona every year in search of fantastic food, incredible art and some of the best nightlife in Europe. So it may not come as a surprise that the Catalan government has decided to follow in Rome’s footsteps and implement a new tourist tax. The tax came into force on 1 November 2012, meaning all those renting accommodation in Catalonia, from apartments to hotels to campervans, would need to pay a small fee. Whether you’re already an Apartment Barcelona client, you’re looking to visit Barcelona soon or you’re just keeping up with the times, read on for all you need to know about the tourist tax in Barcelona. Anyone aged 17 and over staying at an apartment, hostel, hotel, campsite or cruise ship will be charged. Taxes only apply for the first 7 nights of your stay. 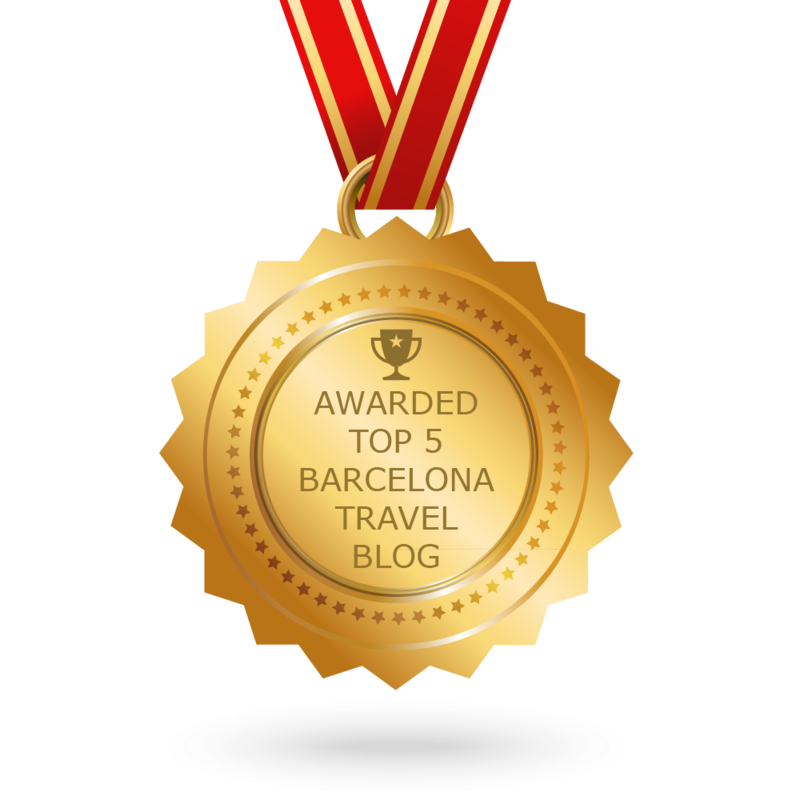 The tourist tax is payable upon arrival to either the owner of the apartment or the friendly staff of Apartment Barcelona, who will then transfer the payment to the Generalitat de Catalunya. What is the reason for the tourist tax? Tourism is a booming industry in Barcelona and the rest of Catalonia and the Government of Catalonia plans to use some of the revenue generated by the new tax to assist the region’s economic recovery. That being said, the Generalitat has stated that a large percentage of the newly imposed tax will be poured back into the tourism industry. While not everyone in the tourism industry has embraced the new tax, with hoteliers, tour operators and other accommodation providers fearful that this could negatively affect travel in Catalonia, many believe that the income provided by the charges will help to promote Barcelona as a vacation destination in the long-run and stay top of the leaderboard in Spanish tourism. How do you feel about the tourist tax? Drop us a comment below! If you have any questions as to how the tax may affect your trip to Barcelona, please feel free to contact us at info@apartmentbarcelona.com and we will be more than happy to help you with any concerns or queries. Previous Article Barcelona Shopping Night 2012 – A Fairytale Come-to-Life! That is a valid statement, but the tourist tax in Barcelona is sure to make ‘Gaudí’s city’ better for all tourists in the future! We sure hope you reconsider. Just saw this tax after I had booked a hotel in this fantastic city, so I feared what the cost was. But at my hotel its 1.25 a night. I must admit I think that’s money well given to keep this city as awesome as it is. At the price of max 2.50€ a day I think its OK. I love Barcelona and will be happy to come here for years to come! 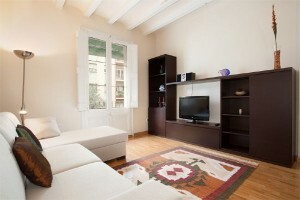 I stayed in am apartment in Barcelona and had a great time with my family! Total tax for 4 nights 15 Euros is a small price for helping the economy. I paid in cash so I don’t know exactly how much is actually reported to the government. Thanks for your comment! We’re pleased you had a good time in Barcelona! What did you get up to? the price of tourist tax is quite reasonable, and the best thing about it is that much of it will be used to improve facilities for tourists in the future. The total amount you paid will have been transferred to the Generalitat de Catalunya. Yeah! Great tax to help recovering from the debts incurred by corrupted catalonian politicians, who have their money in Switzerland, Bahamas or anywhere else but Catalonia. Sorry, I am too old to believe that this tax is going to be reinvested in the city. Despite of its taxes yet is a great city. It really is a great city! Just booked a week in barcelona, didn’t know about the tax until after the booking (hotels.com should have mentioned this up front so we can factor it into our budget when choosing a hotel etc). Feels like a hidden tax. Looks like its going to cost the maximum amount of 35 euros. Happy to contribute to improving the city for tourism but seems quite expensive and extremely doubtful that it will be all spent for tourism. I have been to Barcelona a number of times, love the city but this has definitely tainted my holiday experience. At this rate, might well be my last visit there. Thanks for your comment! It is important to be clear about the tax, and our apartment rental website always makes it clear that there is a charge. That being said, it does depend on where you stay, for example, apartments have a lower charge than hotels. Recent reports from the Government of Catalonia show that the money produced is being distributed as originally stated: 70% for tourism and 30% for local administration. It’s understandable that news on paying a tax for staying in Barcelona isn’t always received with open arms, but we hope it doesn’t put you off coming back to the city as it really is a great place to visit, with so much to offer. I have absolutely NO OBJECTION to this tax. I do have a serious objection to NOT BEING MADE AWARE OF IT WHEN MAKING A BOOKING, EITHER DIRECTLY, OR THROUGH AN AGENT OR AGENCY. Those that keep it hidden or don’t disclose it for any reason while taking a booking should be made responsible for paying it, because an unexpected expense right at the end of your stay takes the edge off your break, leaves a nasty taste in your mouth and smacks of sharp practice. 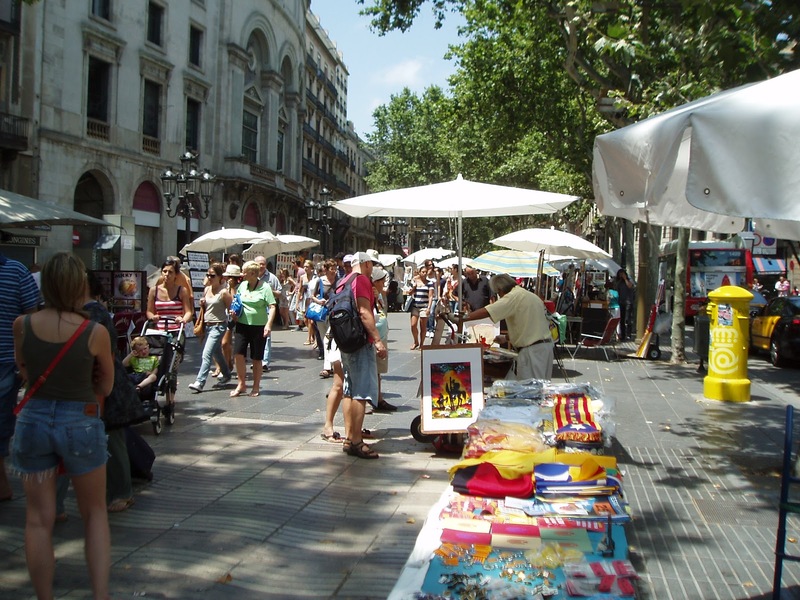 At least you KNOW that if you buy drinks or meals on the Rambla in Barcelona that you are more than likely to be ripped off, but bills out of the blue really are NOT ON, and action SHOULD be taken, if only in the spirit of fairness and good practice. Thanks for your comment Alan. Our apartment rental website always makes it clear that there is a tourist tax in Barcelona but you make a valid point. The positive thing about the tax is that it is helping to improve Barcelona for future tourists and similar taxes are helping improve towns and cities throughout Europe in countries such as Spain, Italy, France and Germany. hi,you state that the tax is only charged on the first 7 nights of the tourists stay,but my experience has been that many renters now state that the maximum length of booking is 7 nights,whereas I prefer to book for 14 nights.Presumably they do this to increase the tax income and whether or not it is all passed on to the authorities I have no idea.This tax is in addition to the increased airport tax at El Prat.Personally I have visited Barcelona only twice since the tax was introduced,preferring to holiday at home in Scotland now and spending my money in my own country. Hi Ronnie, thanks for your comment. The max. length of stay is normally at the discretion of the establishment, but our apartment rental company for example, does not have this 14 night restriction. The tax is 100% passed on to the authorities as it’s a requirement by law and everything is documented in the system. That said, the tax is a controversial issue and alongside the airport taxes it can be seen as a little more costly than staying at home, but many will agree that it’s worth it to enjoy this beautiful city! If you change your mind and you’re looking to come to Barcelona for 14 nights in the future, please don’t hesitate to contact us directly and we would be happy to help you find the ideal place for your stay. is there a exemption from this tax for school-trips? Or does it depend on the age of the pupils? It depends on the age of the pupils. If they are 16 or under they do not have to pay. Hope this helps! How is it ment to be collected, because my apartment-owner (AirBnB) wants me to “leave the tourist-tax (1.2€ per person and night) on the table before we leave…i heard nothing of this tax before now. Should it not be included in the rent in the first place? This becomes purely black money, no? It’s collected by each owner or agency upon arrival, whether that’s in cash or by card or by any other means is is up to the owner. Once it’s been collected, it is transferred to the Government of Catalonia. Sometimes, the tax isn’t included in the price of the rental, as it is not kept by the owner but transferred to a third party, so they might prefer to keep it separate, but it should always be mentioned as an extra. If you’re unsure about the process of this particular owner, I would urge you to contact them directly for clarification. Hope this helps!